The combination of an industrial PC with state of the art performance features and a touch panel with ideal display capabilities enables the user to concentrate high performance into the smallest space. The latest Intel Atom processor technology, large integrated work memory and display resolutions of up to full HD with the 21,5” panel PC are state of the art. 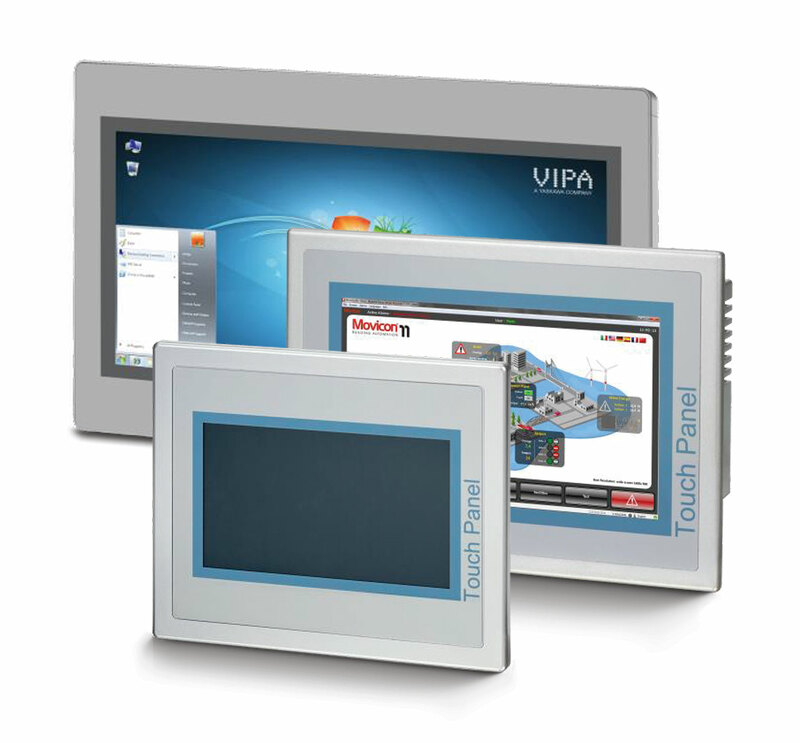 The panels also have numerous useful interfaces just like other Vipa devices. The pre-installed operating systems Windows Embedded Compact 7 or Windows Embedded Standard 7 are state of the art in the PC world. For visualisation or optimisation of user programs, the latest pre-installed Movicon visualisation is available. Movicon is a vector graphics editor with a powerful and clear symbol library. It includes a comprehensive I/O driver library (variables import from the PLC is possible), efficient alarm management, multi-lingual language support, disturbance and operating data acquisition, archiving process data with trend curves as well as a comprehensive driver library. The system also features project scalability of Movicon basic systems to Movicon scada platform. With a secure and comprehensive user management system and remote management for project planning and maintenance, access via a standard VCN client is possible. Integrated Ethernet TCP/IP networking and IL logic (STEP5/STEP7) are catered for and units are also deployable in combination with controllers from other suppliers.